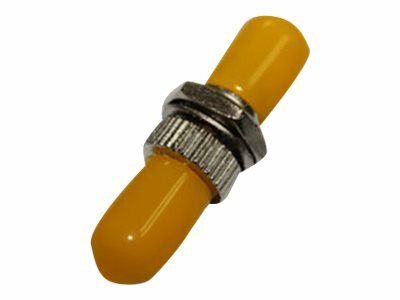 This is a fiber optic adapter, used in fiber optic links to provide a cable-to-cable fiber connection. Specifically, this adapter has one female ST connector on one side and one female ST connector on the other. This provides connection between two male ST SMF simplex cables. Our adapters are 100% compliant for all of your networking needs. Now you have a cost effective solution to your network upgrade needs.